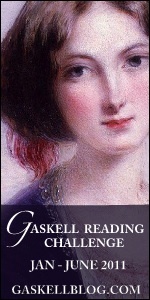 I was delighted when Katherine of Gaskell Blog introduced The Gaskell Reading Challenge. You see, for many years I felt that I would enjoy your books, and yet I never picked them up. And then, when the BBC adaptation of Cranford was aired, my mother asked me if I had ever read it. I said that I hadn’t, and she told me that she had studied it for ‘A’ Level English, and that it was a wonderful book. And so of course I read Cranford too, and of course I loved it. But what to read next? I was still pondering that question when Katherine came along with her challenge. I signed up, but I still couldn’t make up my mind. It was soon made up for me though, when I saw that there was to be A Group Read of The Moorland Cottage. I thought that I had a copy tucked away somewhere, and indeed I did. I pulled it out, I began to read and I was completely captivated. I even wrote a few posts along the way, but then disaster struck. The book vanished! I searched high and low, but there was no sign of it. And I was so cross with myself for losing the book that I forbade myself from ordering it in from the library. But one day, when I was looking for something else entirely, I found my book tucked away in my mother’s knitting basket. I really should have known that the name Gaskell would catch my mother’s eye, and I know now where I should look first the next time a book disappears. The story and the characters had stayed with me, and so I was able to pick up the threads so easily and read to the end. 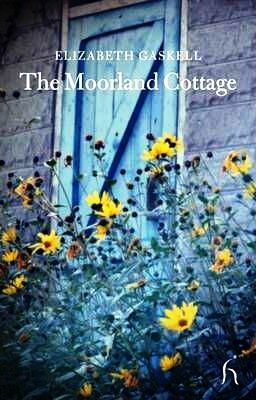 I really did intend to write a little more about The Moorland Cottage, but I’m afraid I haven’t yet. I think I’m going to read it again, right through, and then it will be time to write. And after the Moorland Cottage I read North and South. It was a book that had been calling me for a very long time, and it occurred to me that I could involve my mother. I pulled the book from the shelf and I ordered the DVD of the BBC adaptation from the library. I started the book first and always read ahead of the DVD, as I wanted my first impressions to come from the original material. And we watched the DVD over several nights. I loved the book. At first I saw similarities to The Moorland Cottage, but North and South very soon grew into something bigger and more powerful. And we both loved the dramatisation. I saw a number of changes from the book, but they were changes that I could understand and accept as necessary to make North and South work in another medium. I’m thinking that maybe later in the year I will order the DVD of Wives and Daughters so that I can share that book with my mother in the same way. I’m so glad you were able to find your copy of The Moorland Cottage. 🙂 And that you and your mother enjoyed North and South (book and adaptation). Wives and Daughters is my personal favorite of Gaskell– my favorite book in general too. The adaptation follows the book beautifully (excepting a few details like how Molly discovers Osbourne’s secret and the ending of course; Gaskell died before she could finish it). 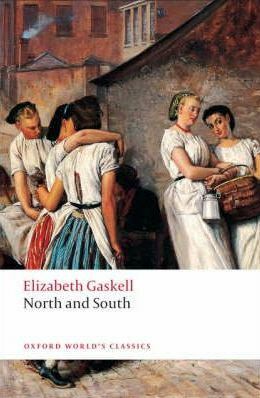 I have North and South in my Netflix list…your post has inspired me to try reading Gaskell!! The BBC adaptation of Wives and Daughters is one of my favourite movies ever! My sister and I watch it together every year, and we are caught up in the story and the characters’ lives every time. If you’re looking for another Gaskell to read, I can recommend Sylvia’s Lovers, which I read several years ago and enjoyed very much. It’s sad but so beautiful!